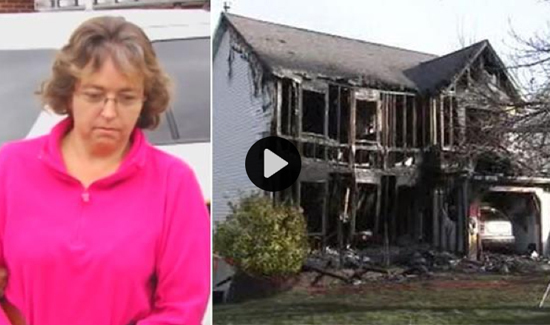 The home of Limerick, Pennsylvania Police Detective Ernie Morris went up in flames, and investigators say his neighbor, Donna Krupp, intentionally set the house on fire. Pennsylvania State Police made the arrest relatively quickly – the crime was all caught on surveillance camera. State police say Krupp, 52, believed Detective Morris was responsible for the ongoing incarceration of her son, who has a history of drug abuse and run-ins with the law. This past November someone put caramel in the gas tank of Detective Morris’ SUV. He suspected the Krupps. So, when he left his home to go to Disney World for the Thanksgiving holiday he installed a surveillance system. “Ernie’s a hardworking cop. He’s basically on duty 24/7. He’s always going out there. There were some situations – he helped state police in an ongoing investigation and this is probably retaliation for that,” Lt. Gustaitis said. Read more on the 6ABC website.